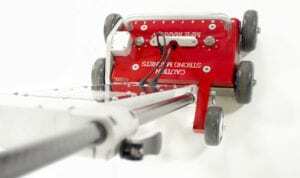 With almost twenty-five years of tank scanner manufacturing experience behind them, MFE Enterprises set out to redesign the tank scanner. 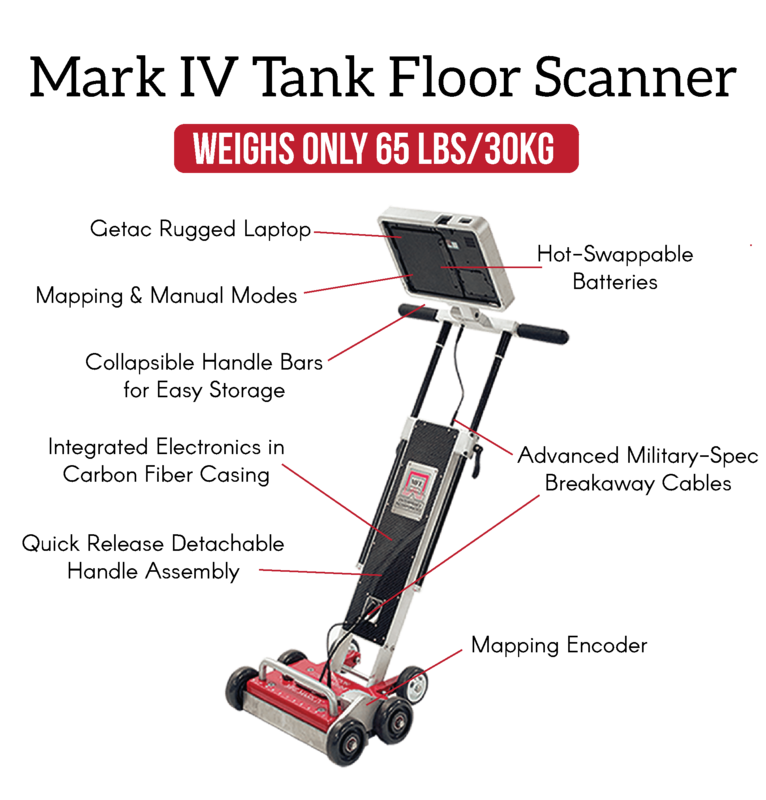 They designed the Mark IV Tank Floor Scanner to be lighter than ever at only 65 lbs. 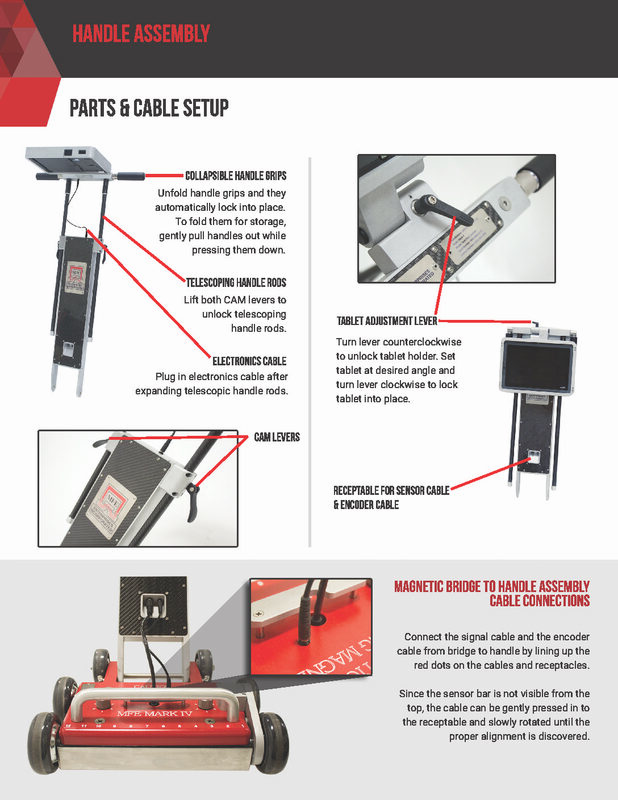 The slim handle assembly contains all of the electrical components within its carbon fiber frame. In lieu of large batteries weighing the unit down, the Mark IV is powered solely by the rugged Getac F110 tablet’s hot-swappable batteries. Not only does this lighten the load, but it also allows for uninterrupted scanning. 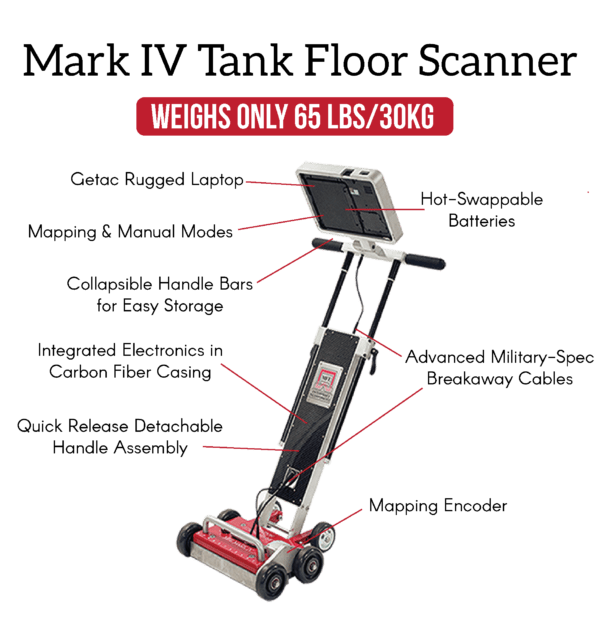 The Mark IV tank floor scanner offers both manual and mapping modes. 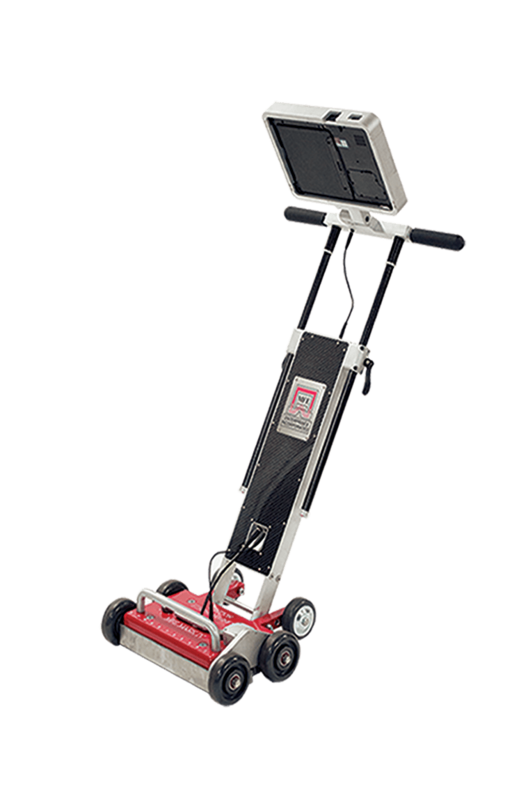 The manual setting provides inspectors with a real-time display alongside a C-Scan mapping preview screen. In order to retain consistent results, operators receive immediate feedback while scanning from the new Speed Tracking feature. This feature ensures operators that they are scanning within an optimal speed range. 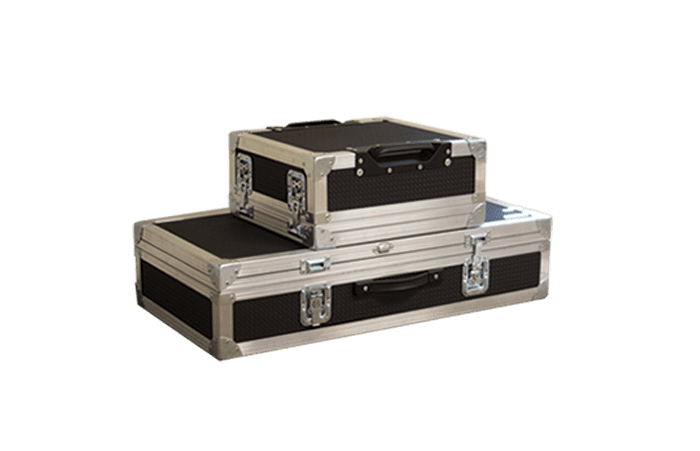 Along with Speed Tracking, the Mark IV tank scanner contains Speed Compensation Software which normalizes the signal response when scanning within the speed tracking range. The most impressive renovation, however, may, in fact, be the Mark IV tank scanner’s user-friendly mapping software. 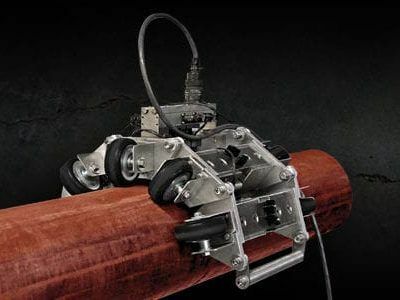 Mapping tank floor bottoms can be a complicated process with other scanners, yet with the Mark IV tank scanner, an operator can map a tank floor bottom in minutes. 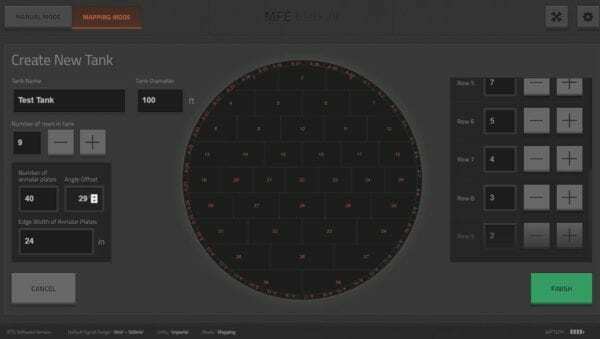 The software guides the operator through an intuitive process that begins with quickly generating a sketch of the tank floor bottom and ends with a comprehensive detailed MFL map of the tank floor bottom. 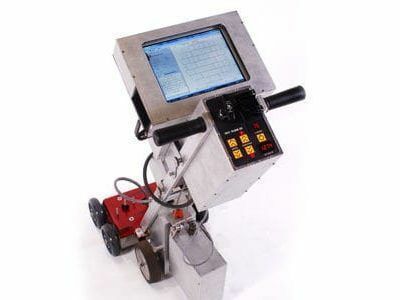 Operators are able to choose features such as setting annular plates, designating the corner and offset, and coating thickness with a few taps on the touchscreen Getac F110 screen. 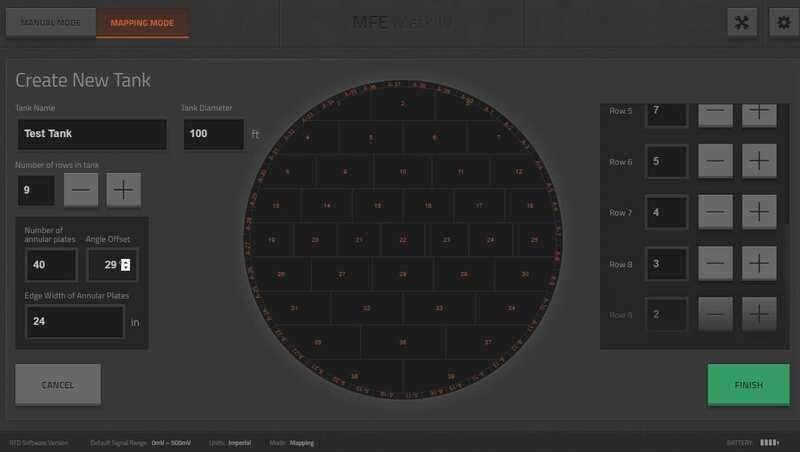 The software guides the operator through an intuitive process that begins with quickly generating a sketch of the tank floor bottom and ends with a comprehensive detailed MFL map of the tank floor bottom. Also, operators may switch from manual to mapping modes with the touch of a button. 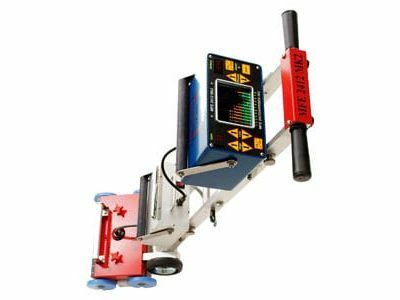 The real-time “A-Scan” display features an LED signal response that runs concurrently with a “C-Scan” mapping preview. The C-Scan preview clearly illustrates where the defect is relative to the magnetic bridge, allowing operators to locate defects even faster. Also, the ability to monitor both the led response along with the C-Scan view eliminates the need for the scanner to be constantly moving. In less than 10 minutes, recreate the tank floor bottom in our user-friendly software on the touchscreen. 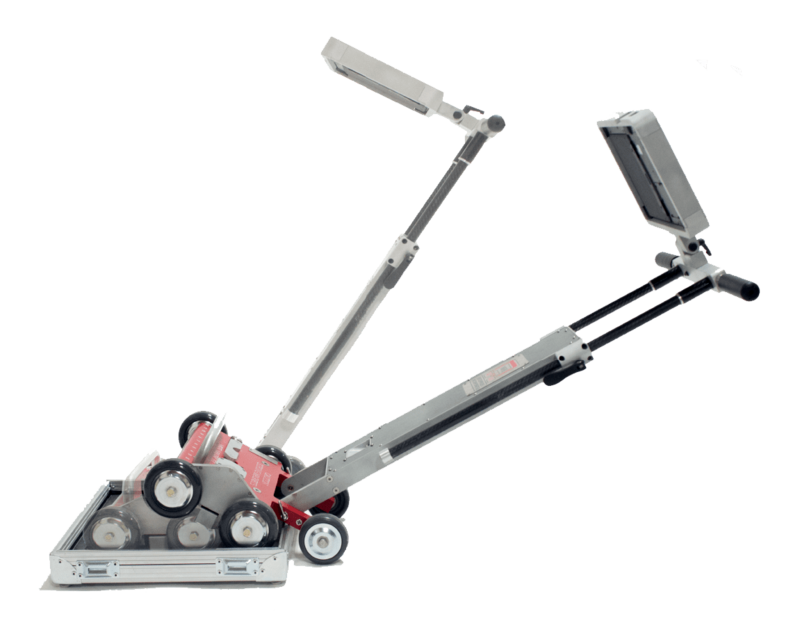 The operator does not require detailed information for each plate until the operator is ready to begin the MFL scan. The operator receives immediate feedback from our new speed tracking feature. 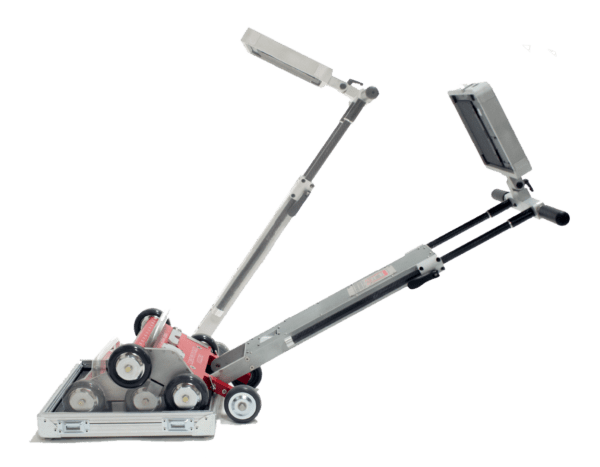 It provides confidence that operators are scanning within an optimal speed range, ensuring consistent, accurate results. 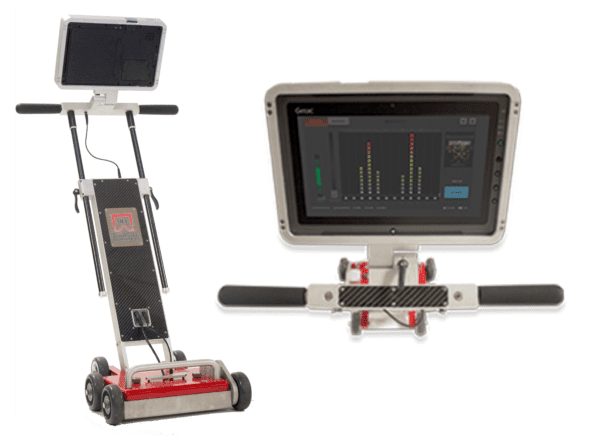 Speed Compensation Software allows operators scanning at different speeds to obtain the same results. 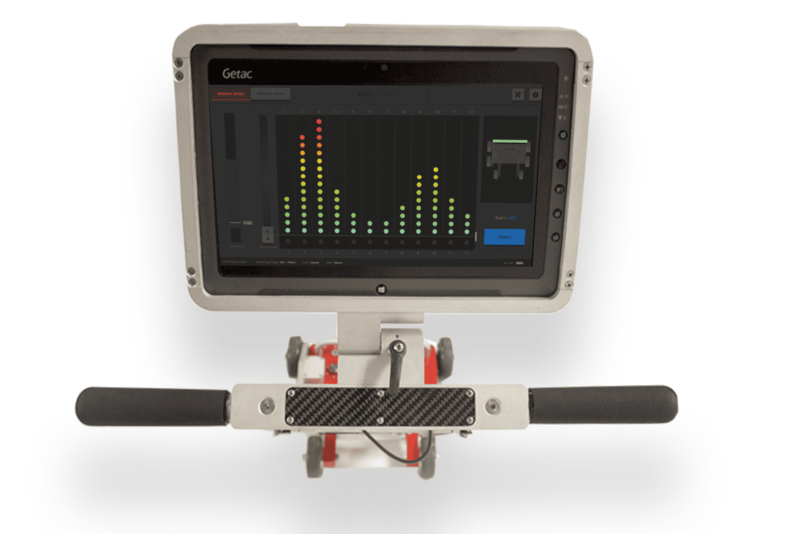 The speed compensation software normalizes the signal response when scanning within the speed tracking range.